Bottled 25 June 2004. 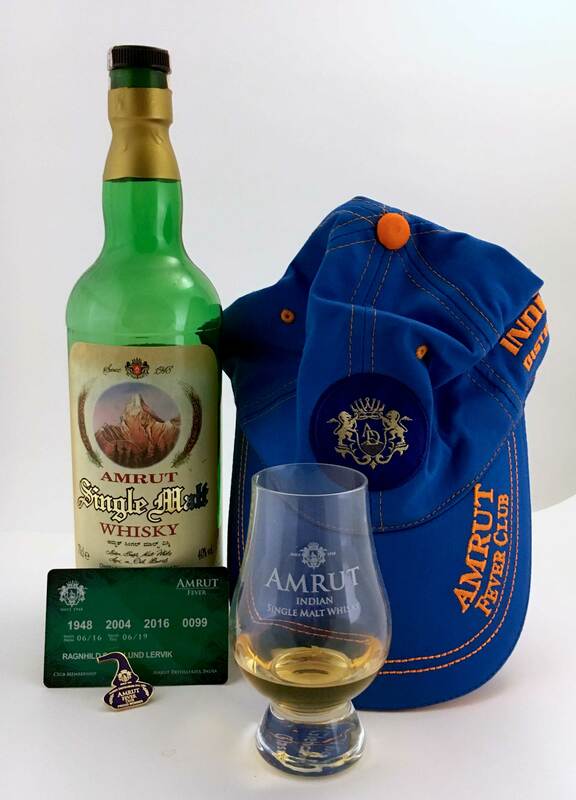 A tasting note for an almost antique bottle to celebrate the arrival of my welcome package from the Amrut Fever Club. Nose: Lemon and fresh herbs, malt and cardamom. Even more malt and cardamom with water, also some apples and possibly a hint of honey. Palate: More wood on the palate, but mostly malt, oatmeal porrige that’s a little singed, or something like that. Water doesn’t make a lot of difference, a little more vanilla, perhaps. Comments: For a three year old (or whatever it is) this is quite impressive. The nose is interesting and well balanced, the taste perhaps a little boring, but it’s “boring, but good” rather than “boring and unpleasant”. A pity the bottle is nearing empty. I may have to pour some into a sample bottle for the archive. Bottled in 1994 in the Connoisseurs Choice series. Nose: Citrus, more lemon than orange, a little honey, oak and something Play Doh-ish. Water does not have any effect worth mentioning. Palate: Oak, vanilla, dried cranberries and heather. There is something reminiscent of an open fire here, too, and it becomes more apparent with water, though I think there might be more of the seared outside of meat cooked over open flame rather than the fire itself. Comments: Gordon & MacPhail had their moments way back when they insisted of dilluting eveything down to 40% too, and this is a very good example. Perhaps this Banff would have been even better at a higher strength, but I find it hard to imagine. Thanks to Johnny for the sample. Nose: Vanilla and oak, but also peaches and cinnamon. Citrus and something tropical, maybe pineapple, with water. After some time in the glass aok becomes more apparent again, but it’s a sweet, spicy oak which compliments the fruity notes. Palate: Vanilla, oak and peaches. Other fruits, too, gooseberries, I think. The oak turns slightly bitter with water. Cinnamon and black pepper on the finish. After a while banana & spice sponge cake and well-balanced oak. Comments: This is what a good grain whisky should be. There is absolutely nothing to detract from this other than the fact that I only have a 3 cl sample instead of a bottle (or three). Nose: Pick and mix candy; Mint humbugs, Haribo peaches and sour frogs. With water it turns towards a flowery sweetness, with red clovers and dandelion flower. Palate: Tastes older, and stronger, than it smells. Oaky bitterness and almond oil, but also spices, black pepper and some sweeter ones. Tried at a tasting with Frode Harring at Raus, 8 June 2016. Old Particular is a series of bottlings from the independent bottler Douglas Laing. The spirit in this Clynelish cask, a refill hogshead, was distilled in April 1997 and bottled in May 2015. The cask provided 216 bottles, and at least some are available at Vinmonopolet. It has the reference DL10770. Nose: Fruits and berries, gooseberry bush, green apples. With water the fruit intensifies. Palate: Black pepper, a lot of sweetness, cask as well, somewhat musty oak, cinnamon. 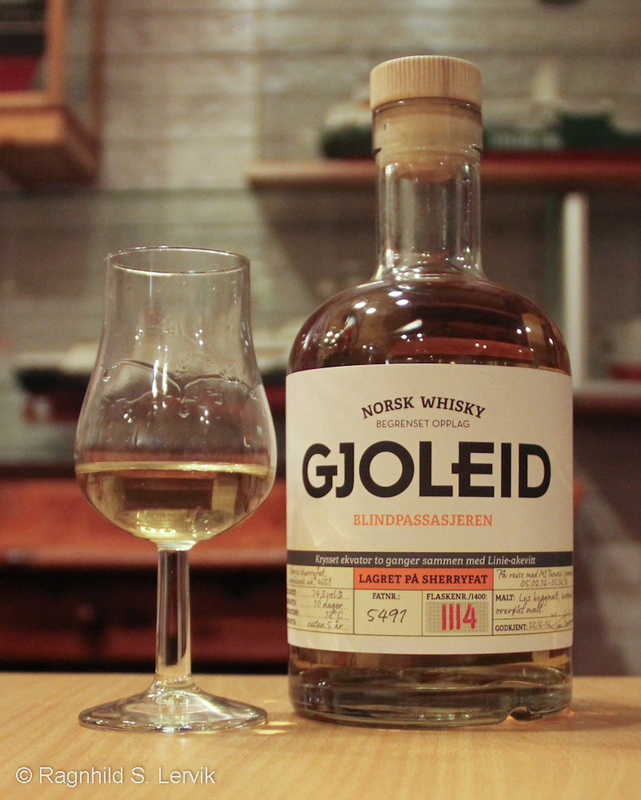 Comments: Not a text-book Clynelish, but it’s complex and certainly very nice. 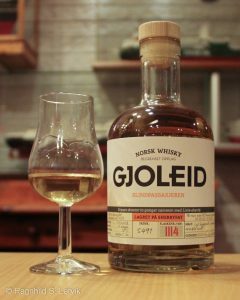 Tasted at Trondheim Whiskyfestival 2016. Nose: Lemongrass, malt and oak. With quite a lot of water it turns towards citrus and grass. Palate: Overoaked, oaky bitterness. With a lot of water: Much better. Malt, candy floss, hazel nuts, still quite a lot of oak. Comments: Undrinkable at full strength. Better with water, but it never quite redeems itself in my eyes. Scapa Skiren was launched last year as an addition to the Scapa standard lineup. As with all Scapas the spirit was distilled in Scapa’s Lomond still, the only one still in operation in Scotland. The whisky is issued without an age statement and has matured in first-fill american oak. Nose: Apples and pears, dry malt loft. Its youth is apparent the moment you add water. Palate: Malt, yellow apples, apple peel, some bitterness on the finish. Comments: A pleasant surprise; a simple, but nice, session dram.